Iraq‌s new premier Adel Abdul Mahdi has had an early taste of the partisan politics he hopes to rein in, failing so far to win parliament‌s approval of a full government to begin to tackle the destruction of years of war and rampant corruption. 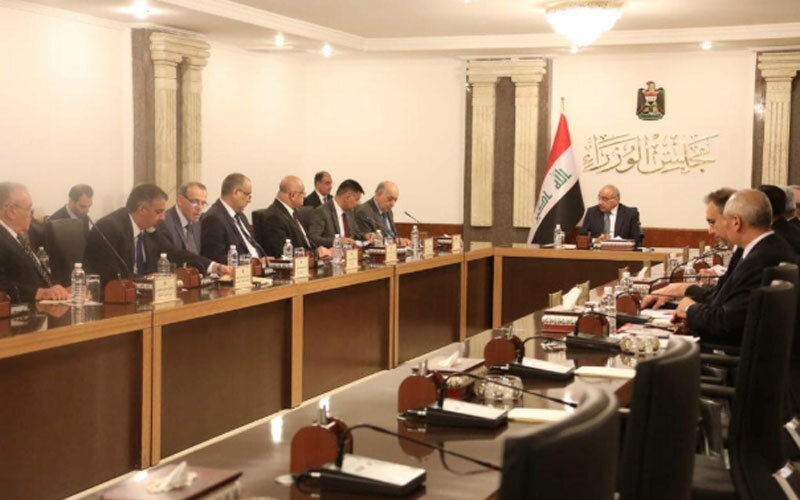 Iraq‌s defense and interior ministers and six others have yet to be decided before the government can address daunting challenges. “Abdul Mahdi came under tremendous pressure from party leaders ... he submitted to the moods of parties by nominating partisan ministers,” said Huda Sajjad, of outgoing premier Haider al-Abadi‌s Victory list. Sajjad said the choice of ministers undermined Abdul Mahdi‌s promises to appoint a government of independent technocrats - a key demand of the Sadrist-led bloc. Parliament approved Abdul Mahdi‌s government program, which aims to reform government institutions, bring semi-autonomous militias under state control and streamline the oil sector of OPEC‌s second largest producer. Lawmakers walked out before parliament could vote on defense nominee Faisal al-Jarba. MPs circulated a photo of him smiling alongside Saddam, who was toppled by the 2003 U.S. invasion. Abdul Mahdi‌s proposed communications minister was also accused of being a Saddam stalwart in a document leaked during the session. Other choices were alleged by some parties to be corrupt. “The prime minister put forward ministers who aren‌t fit for the job,” said Sabah al-Saidi, a lawmaker for the Sadrist-led bloc, Saeroon. Politicians linked to Iranian-backed Shi‌ite militias, however, feel they have earned a right to be in the incoming government given the big role they played alongside Iraqi forces in defeating Islamic State militarily last year. Iraq‌s new prime minister will have to contend with the zero-sum game that has dominated politics for years, according to analysts. “It‌s hard to see how if the big political parties demand posts which they view as their livelihood, how they could just be excluded,” said Renad Mansour, research fellow at Chatham House in London. Abdul Mahdi and new President Barham Salih “are going to face a lot of pressure - we‌ve seen that in the appointment process”, he said. Parliament is to vote again on Nov. 6 to approve the remainder of Abdul Mahdi‌s 22-member cabinet. He currently has 14 ministers. He said on Thursday a complete cabinet would soon be in place.